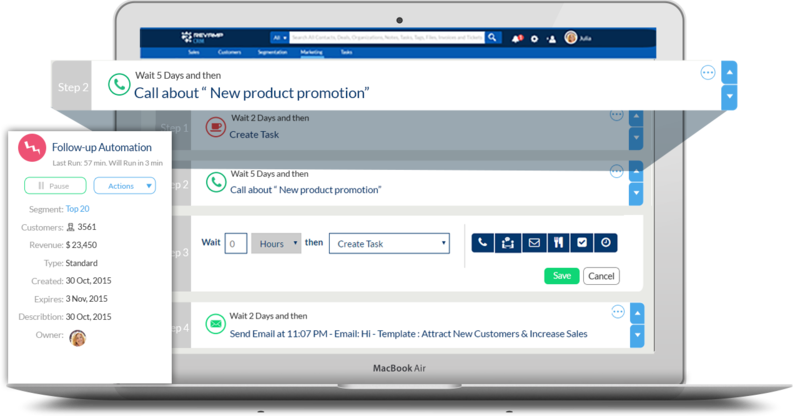 Manage your Tasks and Calendar with Revamp CRM. 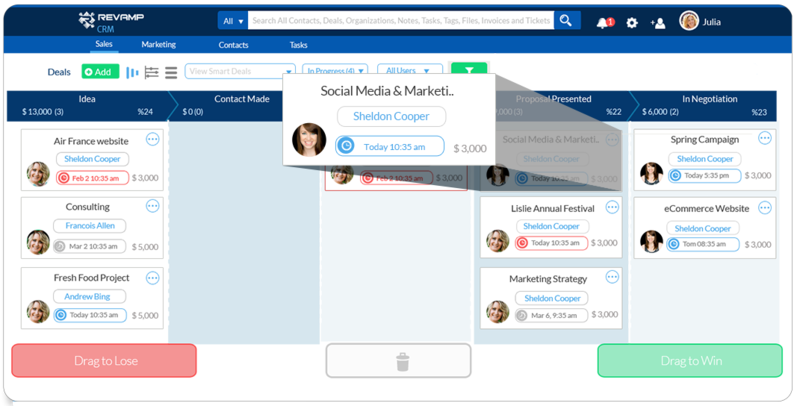 Schedule tasks and relate them to your contacts, or deals. Have better control over multiple users. 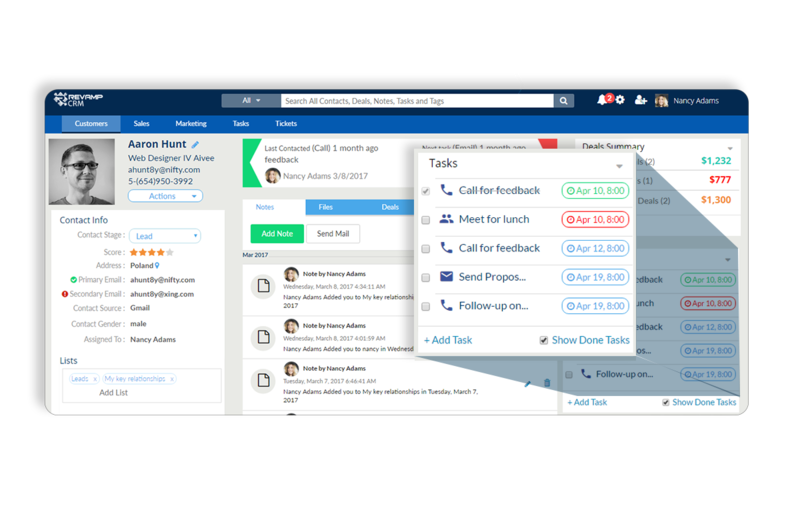 Your Tasks view shows what needs to get done through our color coding, Blue is today’s tasks, Red is Overdue, Grey is upcoming.You can follow-up with customers through email. Complete, postpone, or add notes instantly. Use your filters to focus your efforts on the same day tasks and plan your day with a prioritized to-do list. 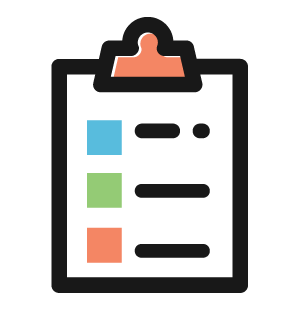 You can filter by status to see overdue tasks or by assignee and know your teammate tasks. Keep track of Deal’s activities and tasks at a glance. 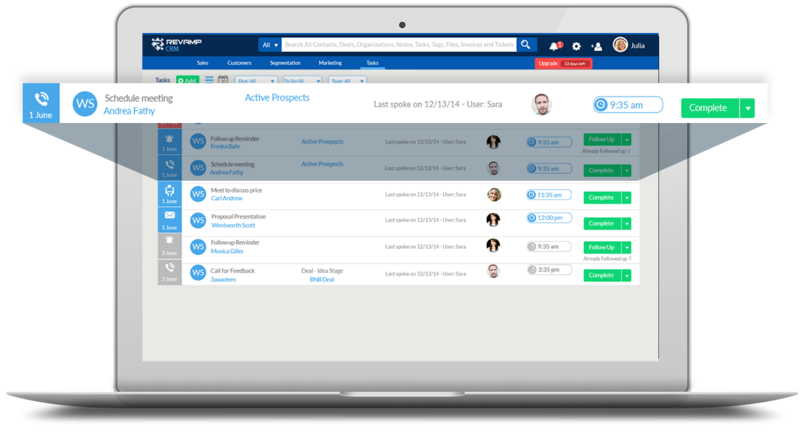 You can detect deals with no assigned tasks and schedule one without leaving your tasks view. Deals with overdue tasks will alert you to take proper action. We highlight the important tasks and upcoming ones to stay on the right track. 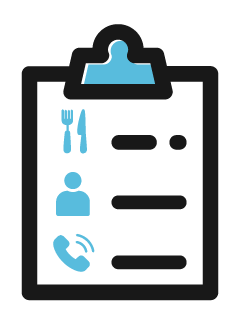 You can also add, complete or edit tasks from inside the contact profile along with viewing a list of tasks related to this particular contact. The activity timeline in your contact profile gives you invaluable insights about emails and notes in a chronological timeline view. 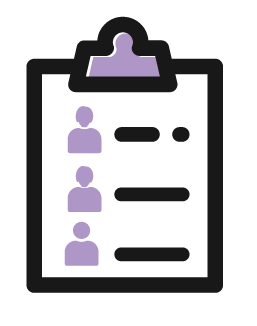 Keep your customers engaged by setting a series of emails to be sent to a certain segment or list of your contacts. Monitor your automation success through time using our visual insights.